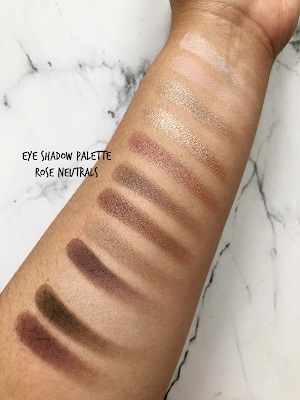 First, we have the eye shadow palette in Rose Neutral that offers 12 shades of pink/mauve shades in a matte, satin and shimmer finish. It retails for $14 cad. The formulation as you can see from the swatches are beautiful and very pigmented. The shade third from the bottom is a satin shimmer finish that offers a sheer wash of pearl shimmer that is beautiful patted on top of a matte. It does show up when you put it on, it's just that my skin tone is quite dark so it's not doing the shade justice. This shade is great as a brow bone highlight as well, or layered on top of a lipstick on the center of the lips to offer an illusion of being fuller. 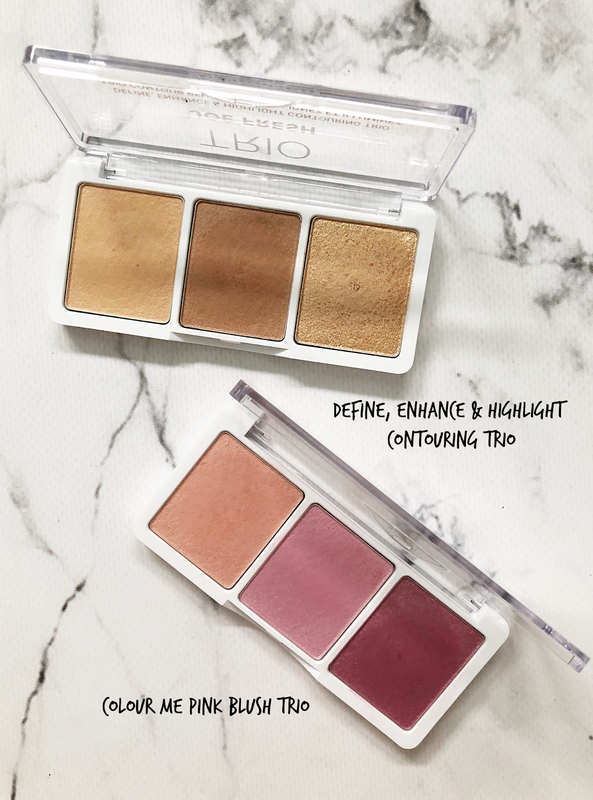 Above we have the trio palettes, $12 cad each - one is a blush one and the other is a define, enhance and highlight trio. 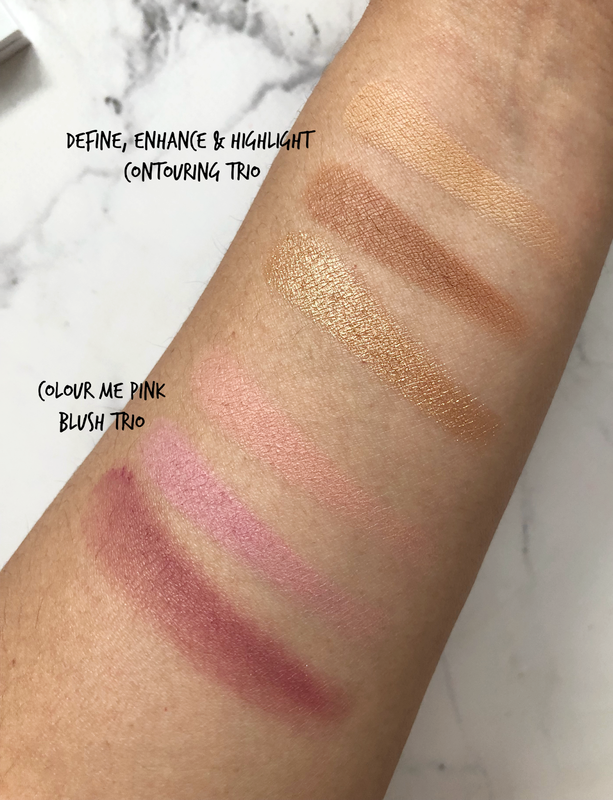 My favorite of the two if I had to pick would definitely be the contour highlight palette - the top two shades have almost a baked consistency that builds beautifully from a sheer to medium coverage if needed. The highlighter which can also be used as a shadow is so pigmented and gives you a great summer glow especially on tanned skin. 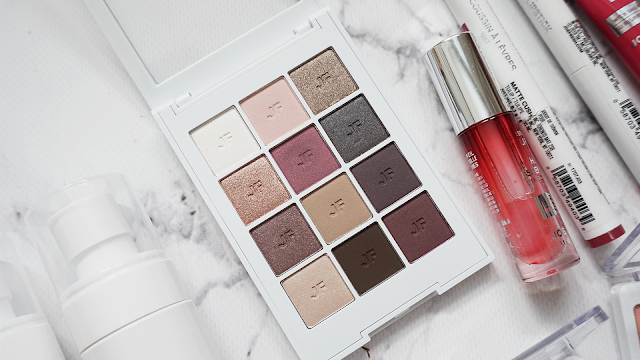 This palette is a must buy! 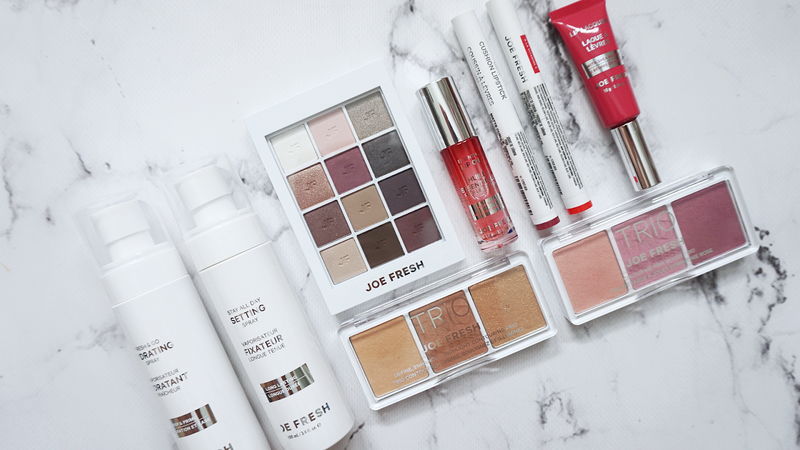 My favorite items from Joe Fresh would definitely have to be their lip products. 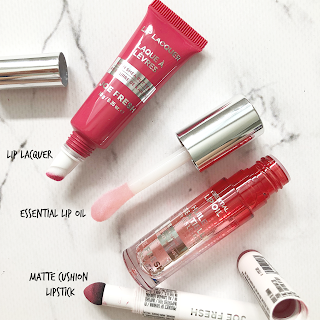 Here I have a Lip Lacquer ($7 cad each) that comes in a squeeze tube formulation that gives you a pop of color while keeping your lips hydrated and not sticky or heavy. 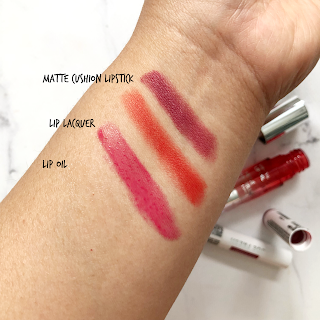 Next, the innovative new product would be the Matte Cushion Lipsticks ($12 cad each) - I would not say that they are your traditional lipstick as it is not a twist up bullet. It is a cushion tip where you twist and dab in the lid for more powder product to put on the lips. I have been using this alot as it gives your lips a coat of color that almost looks like its part of your lip. It's matte but doesn't dry your lip out and it is absolutely weightless, feels like second skin. Lastly is the Lip Oil ($8 cad each) which is a hydrating lip oil that has a slight stickiness to it but gives your lips that high shine glossy look while keeping it moisturized. Lastly, we have two sprays - one is a priming hydrating spray and the other is a make-up setting spray. Both of these products ($10 cad each) work very well for what they are. The nozzle could be better I have to admit, it does not give you a super fine mist but if you just spray the product an arm's length away it is fine. Just don't do it close up as you will get some uneven product dispensing on your face - haha! 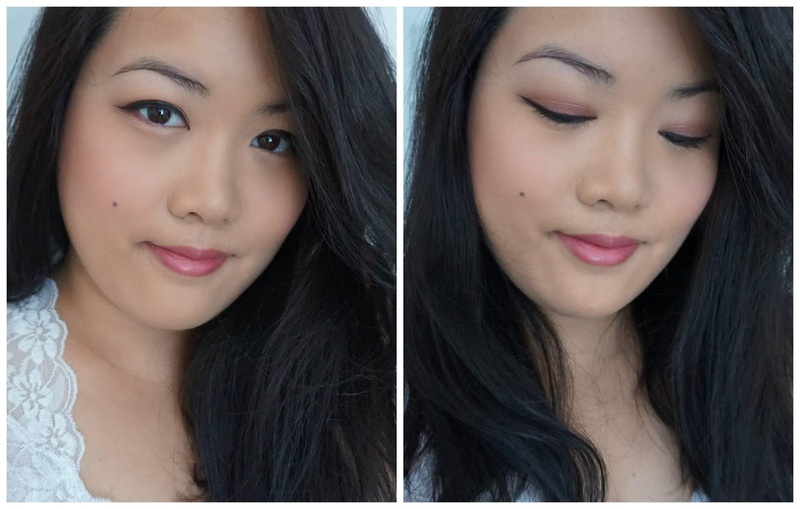 The make-up setting spray worked to keep my make-up on even on a hot summers day of around 35 degrees C and the hydrating priming spray did make my skin feel cool and moisturized. 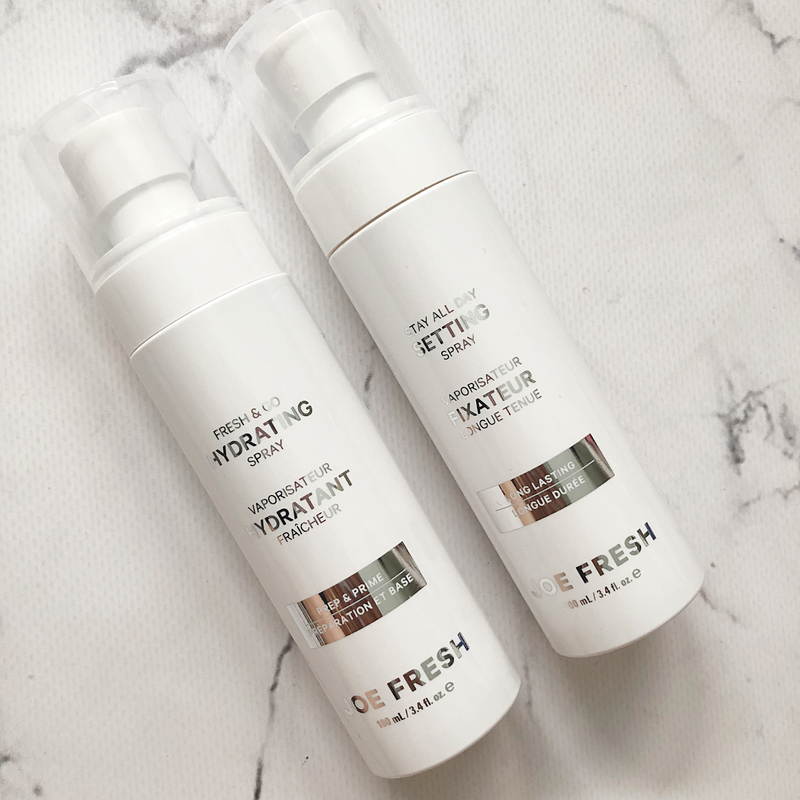 I put on a pore filling primer first on my problem areas then applied this spray. It allowed for my powder make-up to go on great and did not cause any issues with make-up application afterwards. These two products are quite comparable to its higher priced competitors on the market. *products were sent to me for review all opinions are my own.